1.1 Reach – Your Potential Audience Is Huge! Marketing online continues to evolve and grow and today more than ever social media is an important part any marketing strategy for business growth. The reasons to use social media platforms to engage and reach customers are many, and I am going to discuss a few of the main reasons. Firstly, I want to ask you…are you still not sold on social media as a great way to boost your business? Social media websites like Facebook and Twitter are extremely important for any kind of business today, whether your business is online or offline. There are a number of important benefits to using these sites, so if you aren’t, it’s time to get on board. Let’s see why you should! Reach – Your Potential Audience Is Huge! Why do social media managers spend countless hours planning, posting, testing, and perfecting their social media presence online? There are 3 billion active Internet users and 2.1 billion of them have social media accounts. YouTube has more than 1 billion users, more than a 1/3 of all web users. Each and every day web visitors view hundreds of millions of hours on YouTube that generate billions of views. Facebook has nearly 1.4 billion users, that’s 47% of all Internet users. 4.5 billion ‘Likes’ are generated daily and nearly 75% of Facebook’s revenue comes from mobile advertising. 936 million Facebook users login in at least once daily and 52% of marketers find customers on Facebook! Twitter has 316 million monthly active users that produces 500 million tweets each day. Google+ has 363 million users that hit the +1 button 5 billion times per day. Pinterest has 100 million users, 85% of which are women. 47% of Pinterest users purchase a product based on ‘pins’, with the average sale being $58.95. The content? 67% of pinned content is from a business site and 82% of Pinterest users would rather follow a brand than a celebrity. 3 billion active Internet users and 2.1 billion use social media! Do you use social media? These stats are just one reason to use social media to market your business that really illustrates the reach that social media can have on your business, be it online or offline. Here are more reasons to make social media a part of your marketing plan. Social media allows you to reach people at a more personal level. Many social media marketing experts explain that social media is about relationship building, that as a side effect brings about conversions for ‘calls to action’. When you connect with people and they connect with you, they are more likely to follow your brand and buy from you. No matter what products or services you offer, your customers are on social media. People are increasingly using social media sites to find products, services, and brands they love. Customers use these sites to connect with local businesses they frequent. No matter what your business is, people are looking for what you offer on social media. Offline businesses can also leverage these sites to offer coupons and exclusive deals. Social media also gives you a chance to communicate directly with your customers, which is an absolutely priceless opportunity. When a customer follows your business, your updates, posts, and other content appear on their news feed. Social media gives customers a place to contact with you directly and allows you to have authentic conversations with them. Note: There are do’s and don’t of social media for your business. Social media allows you to show off your best content, and highlight what your business has to offer. You can use text, images, video, or all of the above, you can tailor your campaign to present and impress your target audience with the very best content, products, and services. Traffic. We all want it and need traffic for our business to survive online. Everyone is clambering for the front page of the SERPs (search engine results page) as that is where the action is! If you are on the first page of the search results for your keyword phrases, you will automatically get organic traffic. Unfortunately it is difficult to get there organically. One Google update can wipe you off the homepage. So what if you aren’t on the front page of Google? You can use social media! Social media can bring a steady, long term, reliable and ongoing stream of traffic to your sites and blogs, without having to worry that some entity will come along and wipe you out. One of the greatest benefits of social media is that you have full control of what is presented about your company, brand and website to your target audience. You can tailor your marketing plan to meet specific goals and not leave anything to chance. The multitude of tracking, and testing tools available allow you to enhance and tweak your campaigns as needed to constantly improve your efforts to boost conversions. Social media also provides valuable data about your target market. On sites like Facebook, users can put in various kinds of information about their interests etc., on their profiles. This information ranges from demographics such as age and location to highly personal data such as their likes, dislikes, and feelings about the brands they love. Once you start exploring the world of social media, you’ll find that there are hundreds if not thousands of sites you could potentially join. Look for social media sites where your target market is already present! Don’t build a social media presence where your customers don’t frequent. Find the ones where there is a great deal of activity going on. Facebook is a site where many people hang out to chat and share with friends. LinkedIn is where professionals network for business. Twitter is for real-time news. Google+ is used by many businesses, although some individuals do use this platform, they don’t as much as Facebook. YouTube is a video site and people love videos…including your customers. Pinterest is for people to share and pin images, and is great for stores! 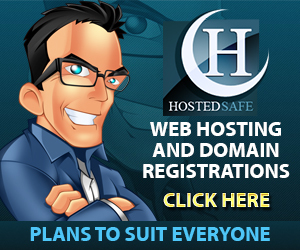 So do these sites suit your business? Take a look at the characteristics and features that the site offers. For example, Google+ offers the Hangouts feature, where you can hold a video teleconference or live event for your fans. Twitter, with its 140-character limit for posts, may be unsuitable for some businesses that need to make longer posts. One way to choose is to ask your customers. Give them a survey and ask which social media sites they’re most active on. Another way to gather this information is to put social media widgets on your site and see on which networks you get the most sharing, liking, and comments. Keep in mind that each social media site you choose will take an additional chunk of time out of your day. The best practice is to start with one site, get it rolling, and then move on to the next. Don’t sign up for too many at once, or you may spread yourself thin. To help me with my social media postings I use Hootsuite to post and schedule future posts. Finally, it takes time to maintain a social media presence, so set aside a bit of time each day to post content, answer messages, reply to comments, and interact with other businesses. For the best results, make social media a part of your daily routine. There is no better time than now to take advantage of the many social media platforms and the marketing benefits that they offer. If you have an online business and do not have a social media presence then you are behind the times, it’s really as simple as that. There are many expert guides online to get you started and educating yourself on the intricate process of social media marketing is critical to your overall success. There is also the option of hiring a social media marketing expert. Take care to choose a competent professional, it will not be cheap. There is a lot of time involved, but it may well be worth it when they bring the results your business needs to succeed.